Today, we’re happy to announce the release of MongoBooster 1.6. This release includes favorite scripts management and a minor updates. 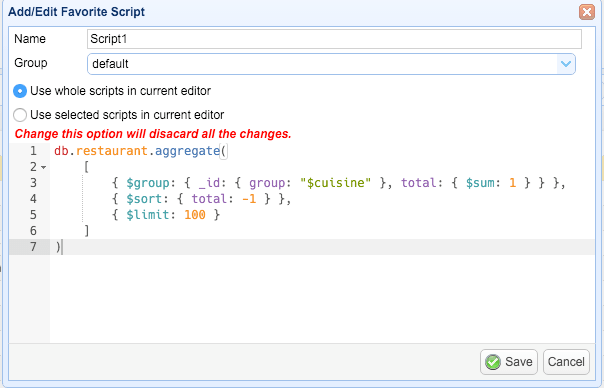 Now you can save any script fragments as favorite script. You can use the “add favorite” button on the right top of the editor or through Command Palette to open the dialog to add or edit your favorite. 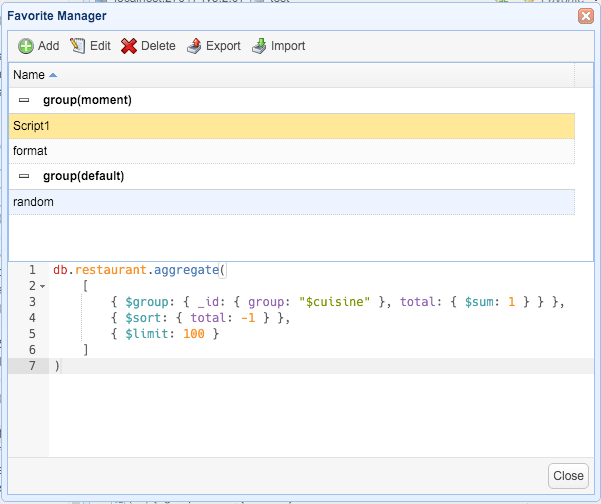 We also provide a management dialog to add/edit/delete/export/import your favorite scripts.